Contracts of service and contracts for service both connote an employment relationship between the parties. However, they differ in their nature and the legal consequences. Understanding the difference between both contracts is important for two main reasons, namely, the nature of each party’s respective obligations, and which court has jurisdiction in the event of dispute between the parties. 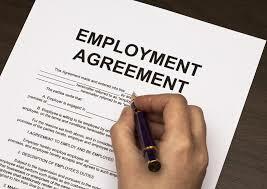 A contract of service is an agreement between an employer and an employee. In a contract for service, an independent contractor, such as a self-employed person or vendor, is engaged for a fee to carry out an assignment or project. The line of demarcation between an independent contractor and an employee is very thin and the two concepts sometimes overlap. In such a situation, the question about the relationship of employer and employee needs to be determined with reference to the facts and circumstances of each case as to who are the parties to the contract, who pays the wages, who has the power to dismiss, what is the nature of the job, and the place of executing the job, all have to be kept in mind. If payments are made by way of “wages” or “salaries” this is indicative that the contract is one of service. If it is a contract for service, the independent contractor gets his payment by way of “fees”. In like manner, where payment is by way of commission only or on the completion of the job, that indicates that the contract is for service. Where the employer supplies the tools and other capital equipment there is a strong likelihood that the contract is that of employment or of service. But where the person engaged has to invest and provide capital for the work to progress that indicates that it is a contract for service. In a contract of service/employment, it is inconsistent for an employer to delegate his duties under the contract. Thus, where a contract allows a person to delegate his duties there under, it becomes a contract for services. Where the hours of work are not fixed it is not a contract of employment/of service. See Milway (Southern) Ltd v. Willshire  1 RLR 322. It is not fatal to the existence of a contract of employment/of service that the work is not carried out on the emjployer’s premises. However, a contract which allows the work to be carried on outside the employer’s premises is more likely to be a contract for service. Where an office accommodation and a secretary are provided by the employer, it is a contract of service/of employment. Jurisdiction is the all important factor that the courts will consider in any case that is brought before them. It is tempting to assume that all employment or work related disputes are to be settled by the National Industrial Court (NIC) by virtue of the Constitution of the Federal Republic of Nigeria (Third Alteration) Act 2010. However, this is not always the case. Section 254 C (i) (a) of the Act provides that “the National Industrial Court shall have and exercise jurisdiction to the exclusion of any other court in civil causes and matters (a) relating to or connected with any labour, employment, trade unions, industrial relations and matters arising from workplace, the conditions of service, including health, safety, welfare of labour, employee, worker and matters incidental thereto or connected therewith”. The above provision notwithstanding, the NIC has held in many cases that its jurisdiction covers only disputes relating to contracts of service, and not contracts for service. This means that only strictly employment contracts may be litigated before the NIC. Cases of an independent contractor, such as a self-employed person or vendor, engaged for a fee to carry out an assignment or project, are not justiciable before the NIC. Such cases may therefore be more appropriately brought before the regular courts (i.e High courts or magistrates courts, depending on the circumstances). In other words, breach of contract for service is regarded as any other breach of contract and treated as such. “This Court does not have jurisdiction over every workplace issue. For instance, as against contracts of service, this Court does not assume jurisdiction over contracts for service, and yet contracts for service are workplace issues strictly so called. 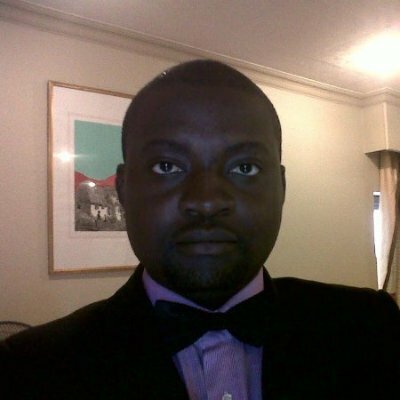 See Mr. Henry Adoh v. EMC Communications Infrastructure Limited  55 NLLR (Pt. 189) 546 NIC, Ozafe Nigeria Limited v. Access Bank of Nigeria Plc unreported Suit No. NICN/LA/179/2014 the ruling of which was delivered on 16th March 2016 and Engr. Jude Ononiwu (Trading under the name of Judeson Chemical and Engineering Co. Ltd) v. National Directorate of Employment & Another unreported Appeal No. CA/OW/32/2015 the ruling of which was delivered on 22nd May 2015”. In the case of Lawrence Igwegbe v. Standard Alliance Life Assurance Limited (unreported Suit No. NICN/LA/465/2013), the judgment of which was delivered on 11 July 2017, the NIC had to determine on the facts before it, if the relationship between the Claimant and the Defendant was one of an employment relationship (contract of service) or one in which the claimant was an independent contractor (contract for service). The court held that the fact that the Claimant was on commission and not on salary was very suggestive that the relationship was one of a contract for service. The court relied on the Supreme Court decision in Shena Security Co. Ltd and held that salary is a component part of the employment relationship strictly speaking (contract of service). The facts of the case are that the Claimant was employed as Agency Manager by the Defendant, who is an insurance company. While the Claimant argued before the court that his relationship with the Defendant was an employment relationship, his evidence before the court showed that he was on commission and not on a salary. This meant that he was an independent contractor to the Defendant, and not necessarily its staff. The court in this case took judicial notice of the fact that insurance agents are in the main not salaried employees, but are paid commission based on the volume of insurance business they bring in. The court declined jurisdiction, since it was a case of contract for service as against contract of service. In the case of Engr. Jude Ononiwu (Trading under the name of Judeson Chemical and Engineering Co. Ltd) v. National Directorate of Employment & Another, the claimant had entered into a contract as a trainer with the 1st defendant under the 1st defendant’s National Open Apprenticeship Scheme of Skill Acquisition Programme. As a result, the 1st defendant sent trainees to the claimant for training. Between 1996 and 2000, the claimant trained for the 1st defendant a total number of 2204 trainees at the training cost of N6,000.00 per trainee bringing the total debt owed the claimant to N13,776,000.00 only. When the 1st defendant refused to pay this sum after repeated demands, the claimant accordingly sued for it at the Federal High Court. The Federal High Court transferred the matter to the Owerri Division of the NIC on the ground that the issue is a labour issue in respect of which it had no jurisdiction given the provision of section 254C(1) of the 1999 Constitution, as amended. The NIC, not certain as to whether it had jurisdiction either, decided to refer the case to the Court of Appeal to determine if the NIC has jurisdiction over contracts for service. In determining this issue, the Court of Appeal held that the court with jurisdiction, considering the facts of the case, was the State High Court, and not the Federal High Court nor the NIC. The Court of Appeal based its decision on the fact that the case arose from a simple contract between the claimant and the 1st defendant/respondent; and that the relationship between the parties was contractual, the contract being one of contract for service as opposed to a contract of service. The Court of Appeal then considered section 254C (1) in terms of the jurisdiction of the NIC, section 251(1) in terms of the jurisdiction of the Federal High Court and section 272(1), (2) and (3) in terms of the jurisdiction of the State High Court, and then concluded that the claims of the claimant in the case do not relate to the sections dealing with the jurisdiction of the NIC and the Federal High Court. Relying on Onuorah v. Kaduna refining and Petrochemical Co. Ltd  LPELR 2707 (SC) and Integrated Timber & Plywood Products Ltd v. Union Bank of Nig. Plc  5 SCNJ 289, the Court of Appeal held that neither the NIC nor the Federal High Court had jurisdiction over the matter. Employees under contract of service are deemed to have employment contract with the organisation that they work for, which entitle them to employment benefits such as wages and salary, pension, medical insurance and other similar employment benefits. In a contract for service, however, an independent, self-employed, individual is contracted to provide a specific service for the organisation in return for a fee. There is no employer-employee relationship between the organisation and the employees of the independent contractor. Section 81 of the Personal Income Tax Act Cap P8, LFN 2004, as amended to date (PITA) provides that for employees - under a contract of service, it is the responsibility of their employers to deduct and remit income taxes from the emoluments paid to such employees. Section 82 of PITA provides further that the employer is answerable to the tax authorities for taxes deducted from the employees. The employer is required to file annual returns in respect of emoluments paid to their employees and account for the taxes withheld and remitted to the relevant tax authorities. Section 81(2) of PITA requires the employer to file annual returns not later than 31 January of every year in respect of all emoluments paid to its employees in the preceding year. Failure to comply attracts a penalty, upon conviction. Whenever the tax authorities intend to conduct tax audit enquiries in respect of employees' personal income taxes, the employer is usually held answerable. In cases of contracts for service, however, the independent contractor or self-employed individual is personally responsible for his own taxes. Such individuals are expected to file personal income tax returns under the self-assessment regime. However, the company to whom the services are rendered has the responsibility for deducting and remitting withholding taxes on the fees payable under the contract at applicable rate. In the same vein, a self-employed individual has an obligation to register for value added tax (VAT) and charge VAT on invoices issued for services rendered, unless such service is specifically exempt from VAT. The Value Added Tax Act Cap V1 LFN 2004 as amended (VATA) defines a taxable person as an individual or body of individuals, family, corporations sole, trustee or executor or a person who carries out in a place an economic activity, a person exploiting tangible or intangible property for the purpose of obtaining income therefrom by way of trade or business or a person or agency of government acting in that capacity. For the purpose of VATA, an individuals under a contract for service falls under this category. In addition to the need to account for tax, the Pension Reform Act, 2104 mandates employers with five or more employees to make contributions on behalf of their employees into an approved pension fund. As explained earlier, individuals with contracts of service are employees. Hence, pension contributions are mandated for them but not for individuals with a contract for service. Individual with a contract for service could make voluntary pension contributions into their Retirement Savings Account (RSA) if they so desire. The determination of the existence of an employment relationship should be guided by the facts of what was actually agreed and performed by the parties, and not by the name they have given the contract. That is why the existence of an employment relationship depends on certain objective conditions being met (the form in which the worker and the employer have established their respective positions, rights and obligations, and the actual services to be provided), and not on how either or both of the parties, describe the relationship. This is known in law as the principle of the primacy of facts, which is explicitly enshrined in some national systems. This principle might also be applied by judges in the absence of an express rule. The ILO concluded by advising that the Judge in a labour dispute must normally decide on the basis of the facts, irrespective of how the parties construe or describe a given contractual relationship. Corporate Commercial Lawyer at Austen-Peters & Co.